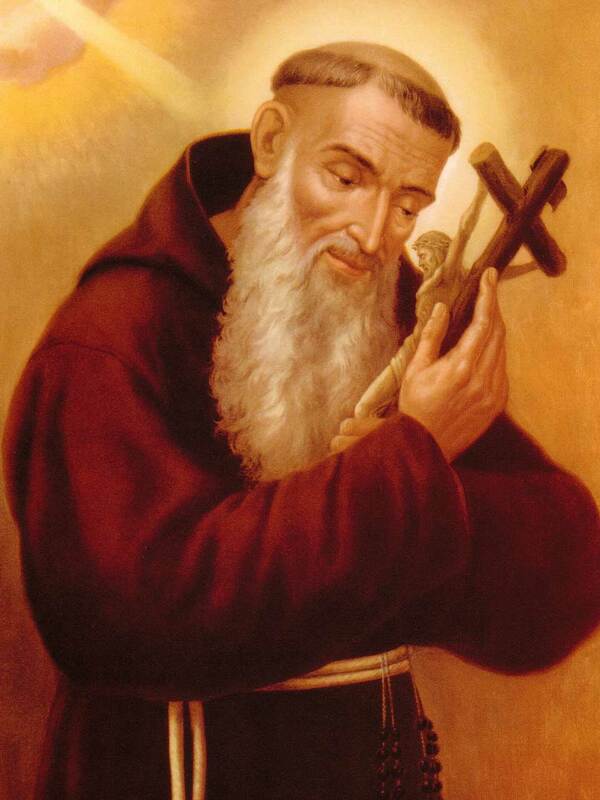 Didacus Joseph Lopez Caamano, baptized Joseph Francis, was born in Spain in the year 1743, and entered the Capuchin Order in the Province of Seville. He was invested with the religious habit in 1757. After his ordination to the priesthood he exercised the ministry of preaching throughout Spain with great success and was called “a second Paul”. He developed a method for his preaching which revolved around three points - 1) giving clear theological input, 2) promoting sacramental and devotional exercises, and 3) advocating a practical Christianity, especially in terms of promoting peace and justice. Always imbued with a great love for the cross, he combined apostolic activity with contemplation in a marvelous way. devout family in Ronda where he wrote most of his correspondence and where he died in 1801. His remains are preserved at the shrine of Our Lady of Peace at Ronda. Didacus Joseph was beatified by Pope Leo XIII on April 1, 1894. God, our Father, you endowed blessed Didacus with the knowledge of the Saints and wonderfully guided him in his labors for the salvation of his people. Through his intercession grant us to relish what is right and good, and to preach to all nations the unfathomable riches of Christ. We ask this through our Lord Jesus Christ, your Son, who lives and reigns with you and the Holy Spirit, one God, for ever and ever.